I have decided to make a journal for each month of the year to hold thoughts, ideas and inspiration. This is my first one - for the month of March. I wanted a fun and unique cover, and I knew I wanted to reuse some old cardboard (yay for recycling!) I had and that I wanted to make a collage-type-something. I had some extra ribbon from another project and thought it was a great color for the month of March - green with a hint of spring blue in it- Spring is on it's way! :) I was going to make a flower with the ribbon (hence the swirl) but decided to just leave it as a swirl. 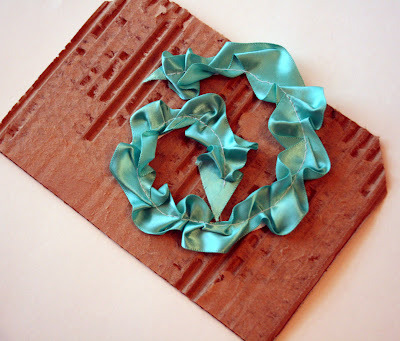 You could make these ribbon swirls and use them on a card (see picture at end of post), as a journal embellishment or as a scrapbook page embellishment, or something else! 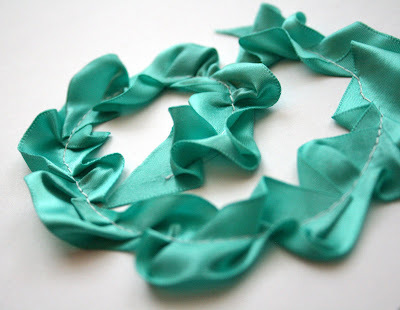 Maybe even make a wall hanging with a bunch of ribbon swirls? 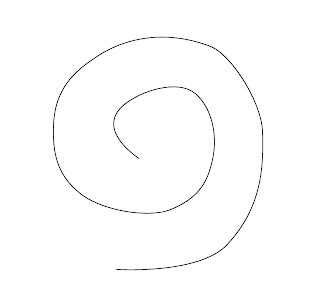 I drew a swirl in the middle of my cardstock - you can draw your own of download the image below (click to enlarge, right click, save and print). 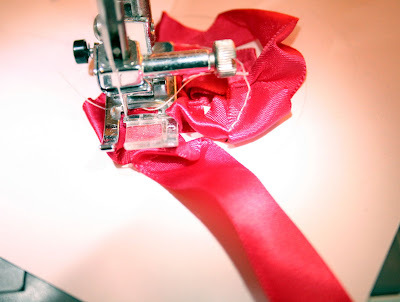 Adhere one edge of the ribbon to the center of the swirl with a glue dot. 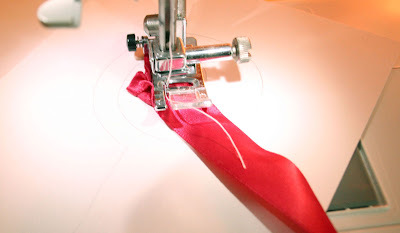 Begin sewing (slowly) the ribbon to the paper and bunch it up at the foot as you sew. 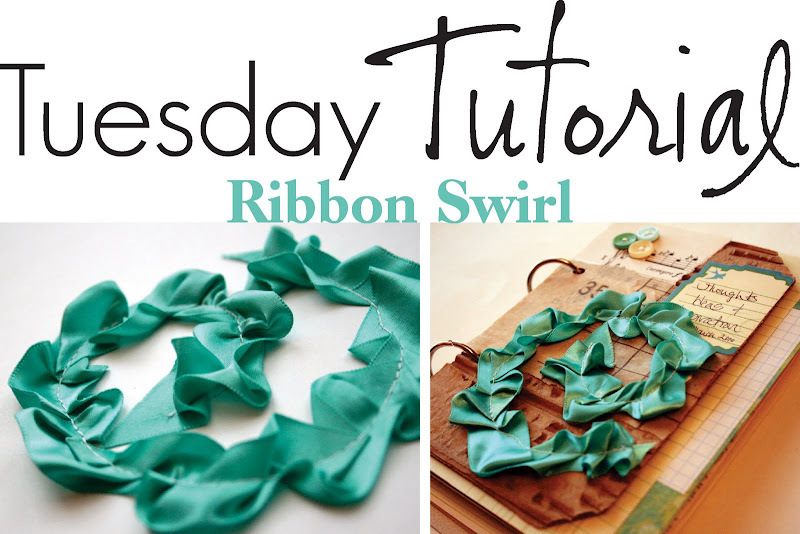 (Pardon the ribbon color change, I did a bunch of different trials on this how-to :)). 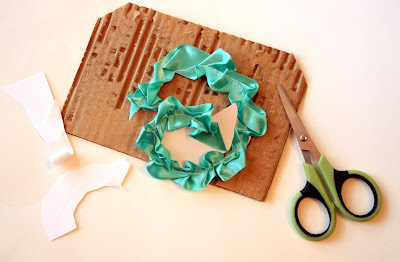 Continue turning the cardstock and bunching the ribbon up at the foot as you follow your swirl pattern. Voilà! A ribbon swirl! To make my journal cover, I used this old piece of cardboard and distressed it by pulling one layer of the brown paper off the top. I got the idea and a great how-to here. I then decided to (very carefully!) cut out my ribbon swirl so you couldn't see the cardstock. This is what it looks like on the back after you cut it out. 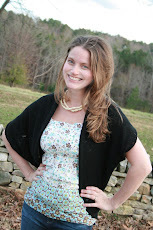 I embellished the cardboard with old sheet music, part of a vintage sewing pattern, buttons, and a new journaling tag. 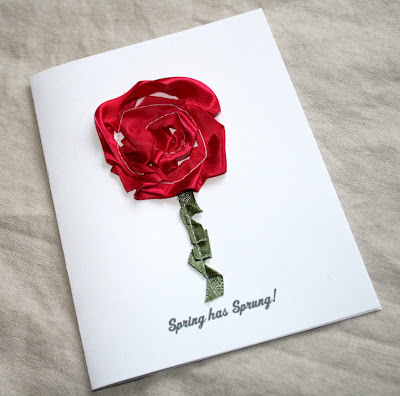 On the inside, it is a mixed paper journal with envelopes and new and vintage papers - great for ideas and inspiration! :) If you would like to purchase one like mine, I will have one available in the shop tomorrow. Adorable =0) I like the idea of doing a separate journal for each month - it would be cool to see how one's ideas and everything change over the course of a year. I might do that - thanks for the idea! I love that idea! Can't wait to see your other journals for each month, as well as the ones in your shop. I'm currently making my mum a recipe journal and this has given me some ideas, thank you. I am obsessed with spirals and I love this idea. 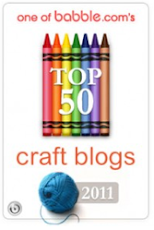 I see a whole new embellishment frenzy going on in my house. 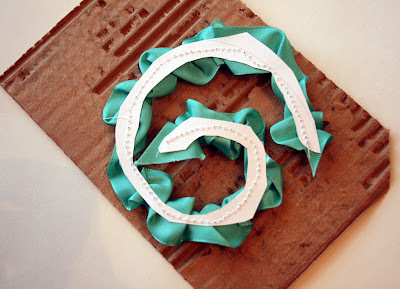 Usually its just painted or embroidered spirals, but now I will add ribbon spirals. 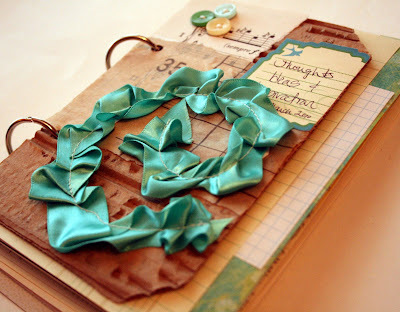 such simple ideas and such stunning results... love it... look forward to seeing the coming months' journals!